Pitch Diameter (PD). Also known as (STANDARD). 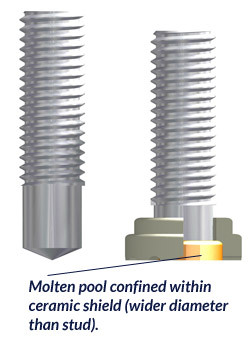 Molten Pool confined within ceramic shield (wider diameter than stud). Drawn Arc Studs available in mild steel and stainless steel. Strength and composition available on request.